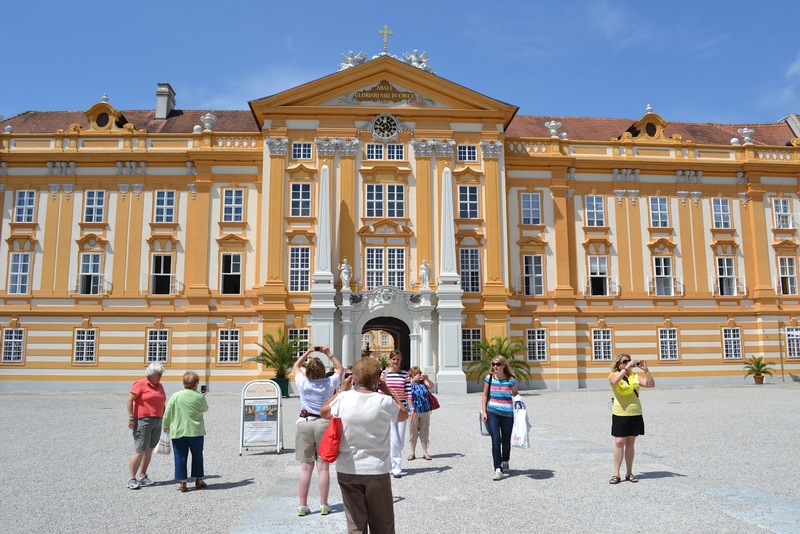 We said good-bye to Salzburg and boarded our coaches en route to Vienna. 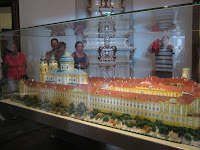 We made a detour to Melk which included a guided tour of the Abbey. Unfortunately, just as we arrved the bells tolled and the monks were called to prayer, so not a Monk in sight!!! 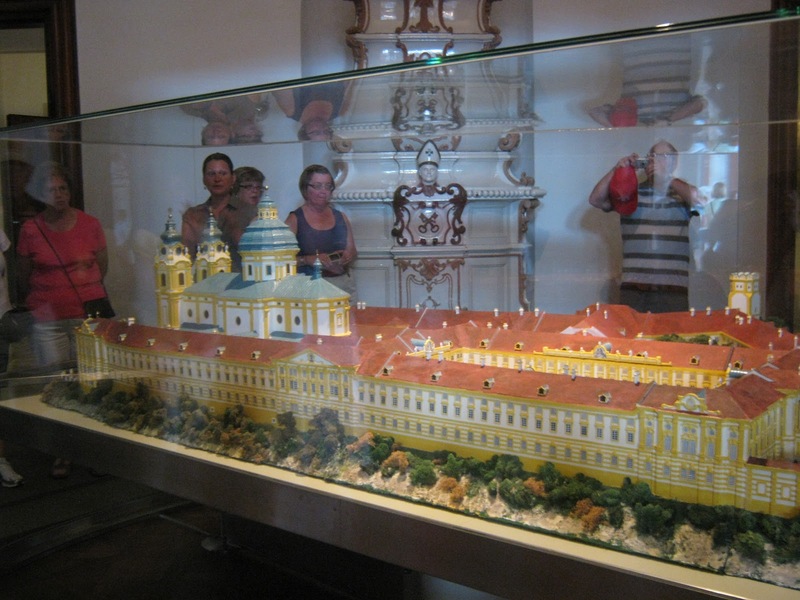 So, we explored the Abbey and viewed the living quarters of the Imperialist and the magnificent library of the Monks. From the top of the Abbey we got our first glimpse of the Danube River. The Abbey is still inhabitat by 30 monks, however has been home to anywhere from 8 to 90 monks. 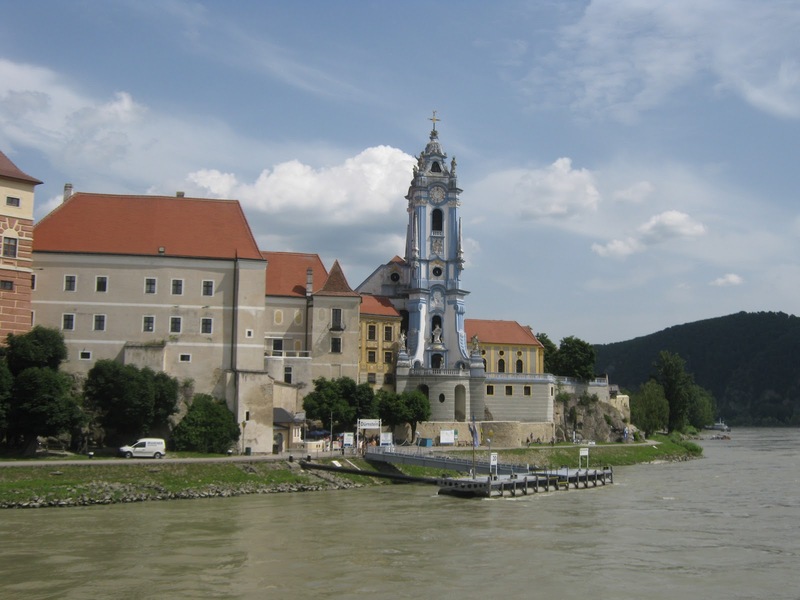 After the tour we boarded our coaches and took a 5 minute ride to the Danube River Station where we departed on a one way cruise from Melk to Krems. This route was included in the UNESCO World Heritage list for its exceptional beauty and we were not disappointed. 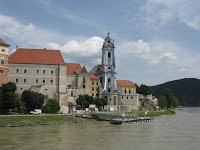 Highlights along the route included a dramatic view of Melk Abbey from river level, the Schonbuhel Castle and the town of Durnstein with its blue tower. This cruise lasted approximately 90 minutes and the temperature was a balmy 32 degrees celsius. Needless to say a lot of sunscreen was used and yes you guessed it......... beer and wine was a necessity. Cheers !!! 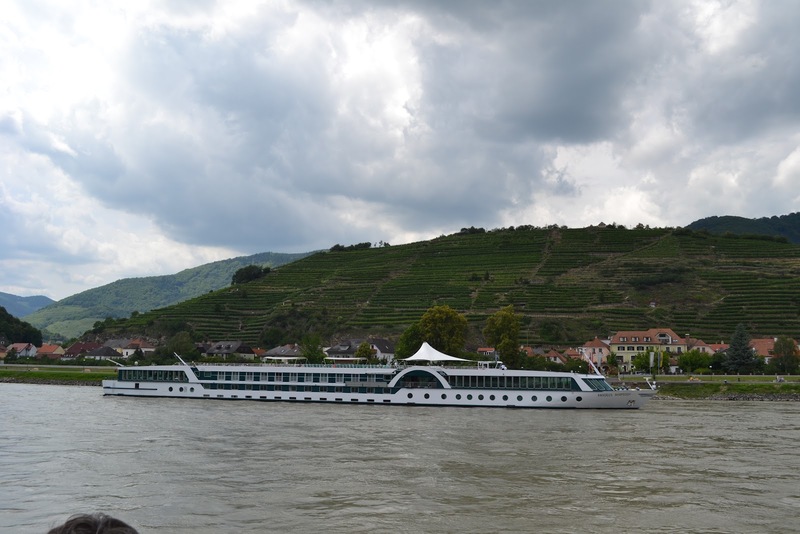 We disembarked the river boat and were whisked away to the Mercure Vienna Westbahnhof hotel were we were to spend our last 4 nights.